We still haven't forgotten the Covfefe incident...and we probably never will. You best believe that Trump is making a tweet and NOT checking it twice this Christmas! 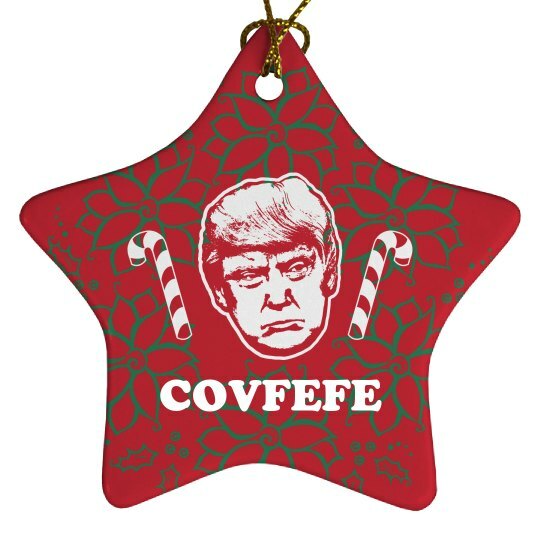 Snag a funny political ornament as a gift for someone special.